The Dutch Pan Restaurant was boarded up and closed when this photo was taken in 2006. 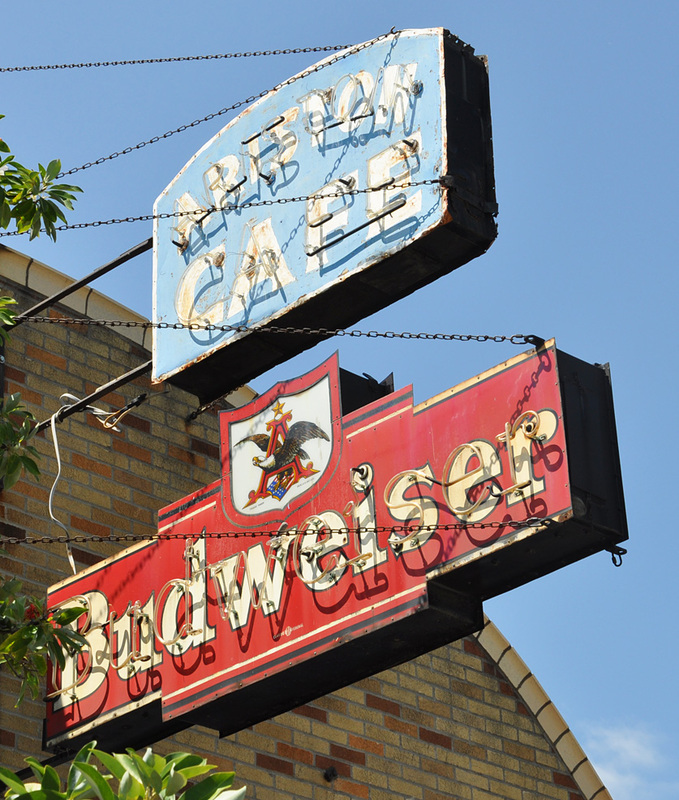 The sign's ghost letters indicate that this was original the Dutch Pantry. The building had been demolished and the sign was gone by 2007. 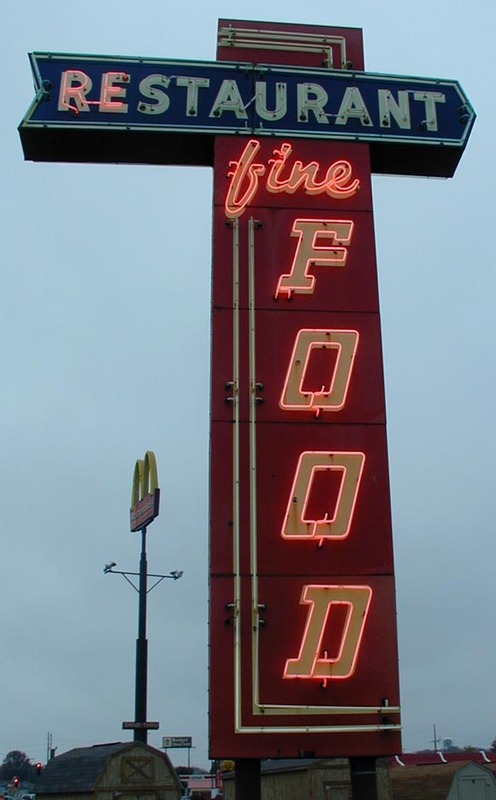 The Five Star Motel sign was probably built in the 1950s. This photo is from 2006. 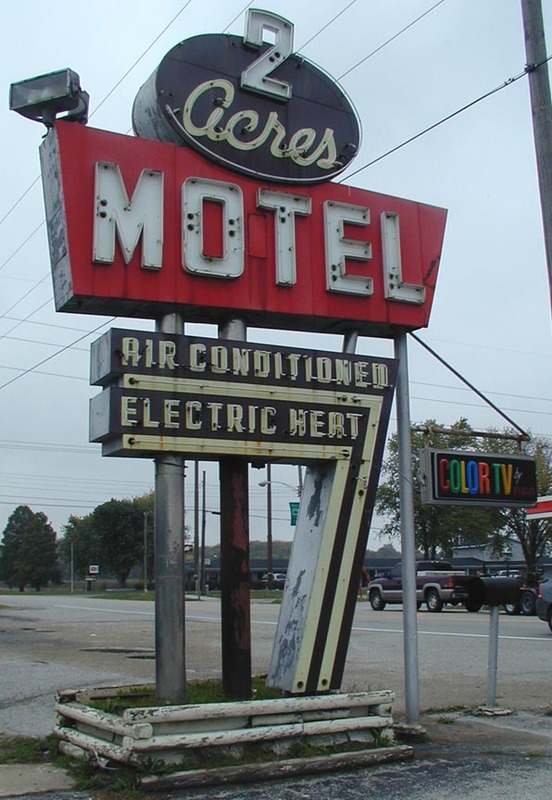 By 2013, this motel had become the Greenup Inn and the sign was gone. The 2 Acres Motel had been here since at least the 1960s. This photo is from 2005. 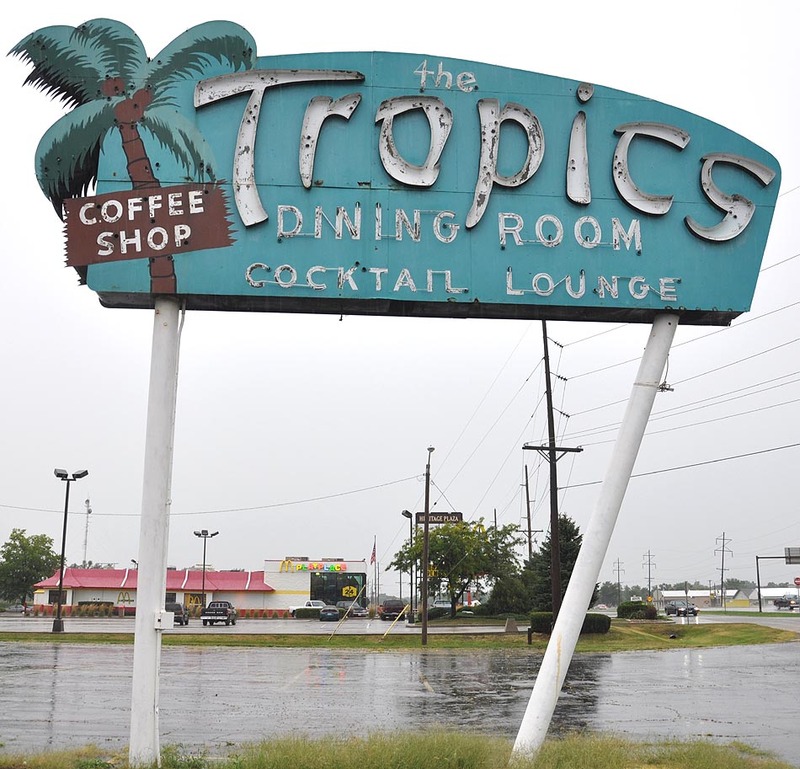 By 2013, the building and sign were gone. 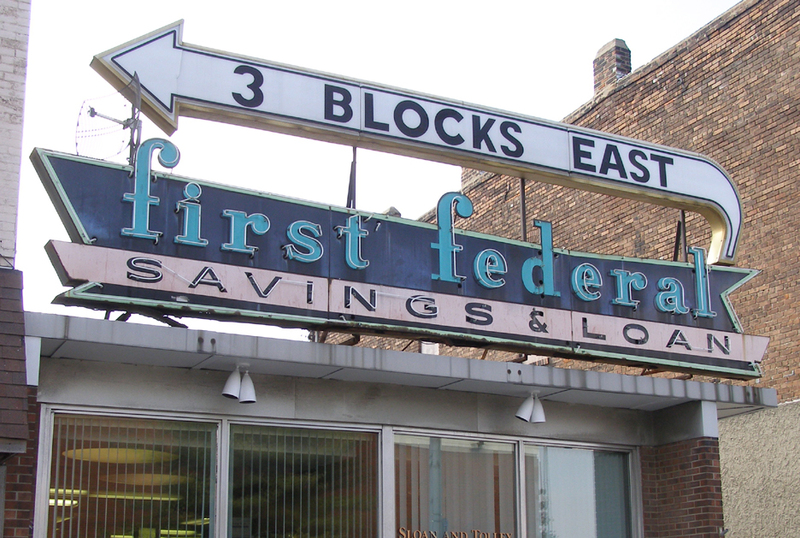 The First Federal Savings & Loan sign remained in 2006 although the building was housing an insurance company. 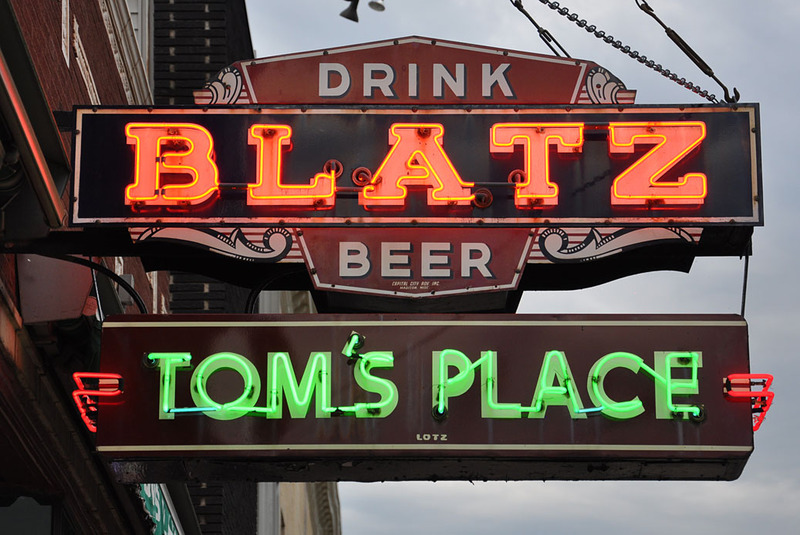 By 2010, this sign was gone. 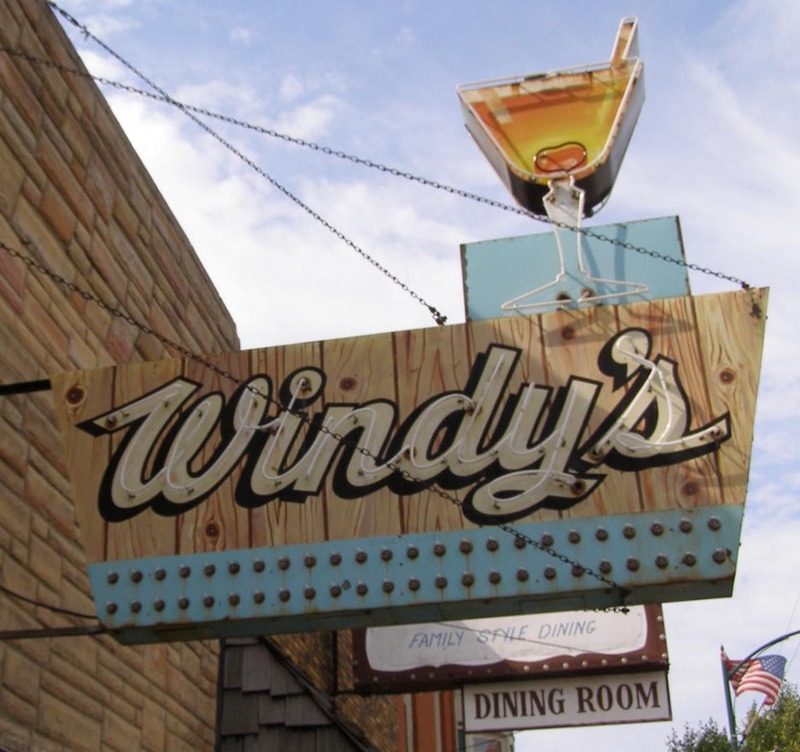 The Windy's Tavern sign was probably from the 1950s. This photo is from 2006. 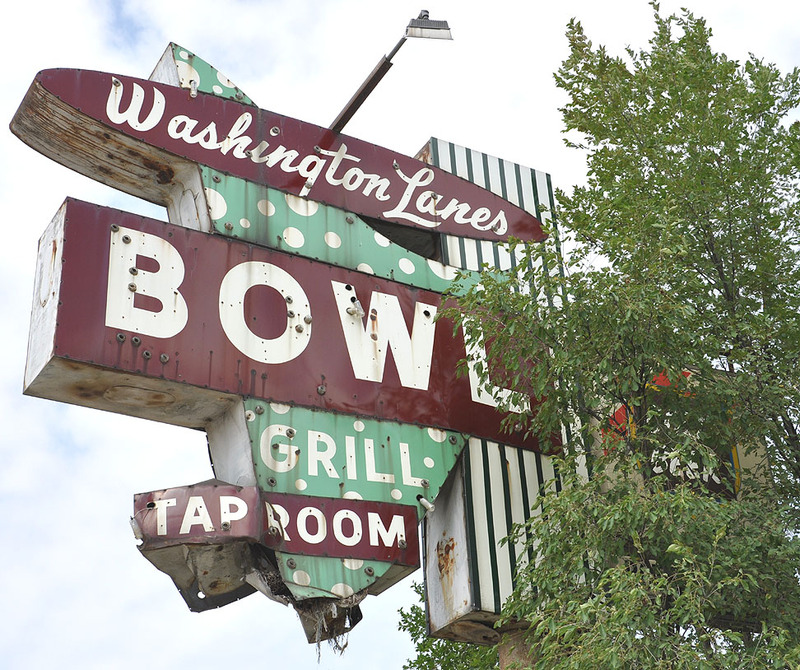 By 2012, the bar and sign were gone. 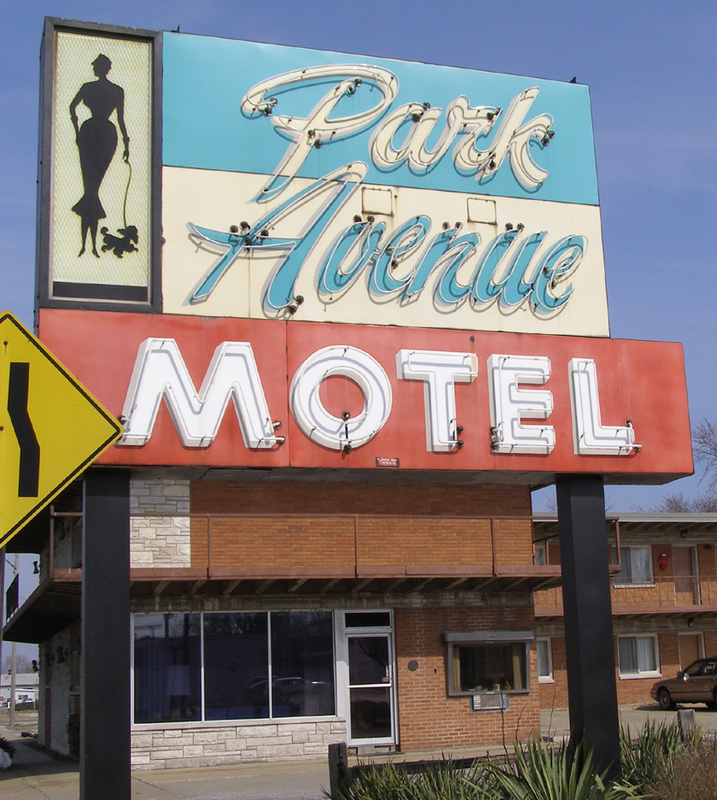 The Park Avenue Motel was built in 1961. 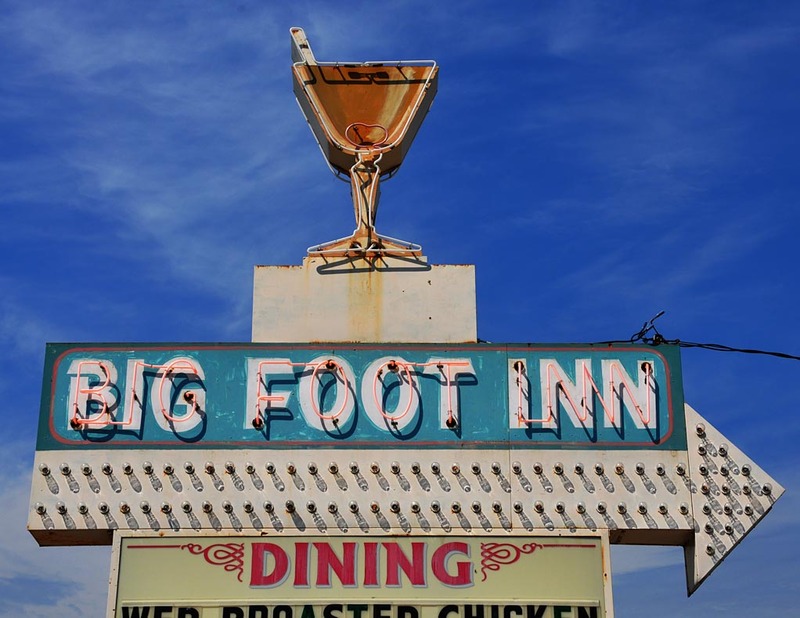 The owner designed the motel and the sign. The motel has been demolished and the sign is gone. 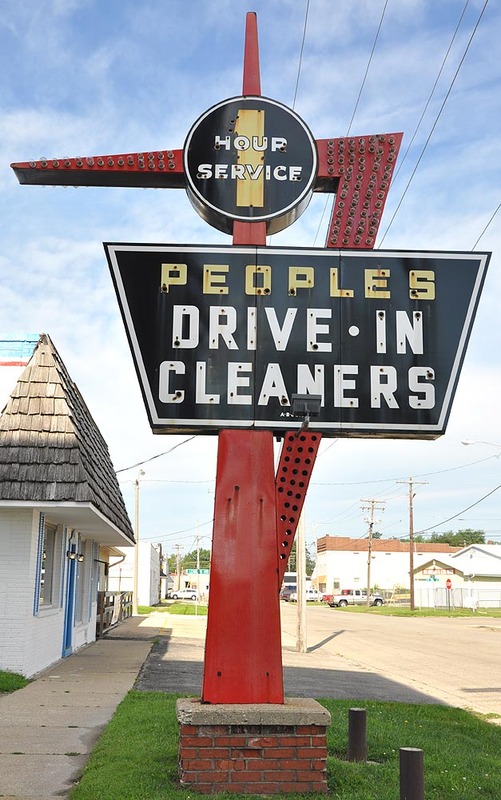 It was reported that the sign would be saved by the City and reinstalled somewhere else on Park Avenue. However, I have also heard that it was put up for sale on eBay. For more, see this website. 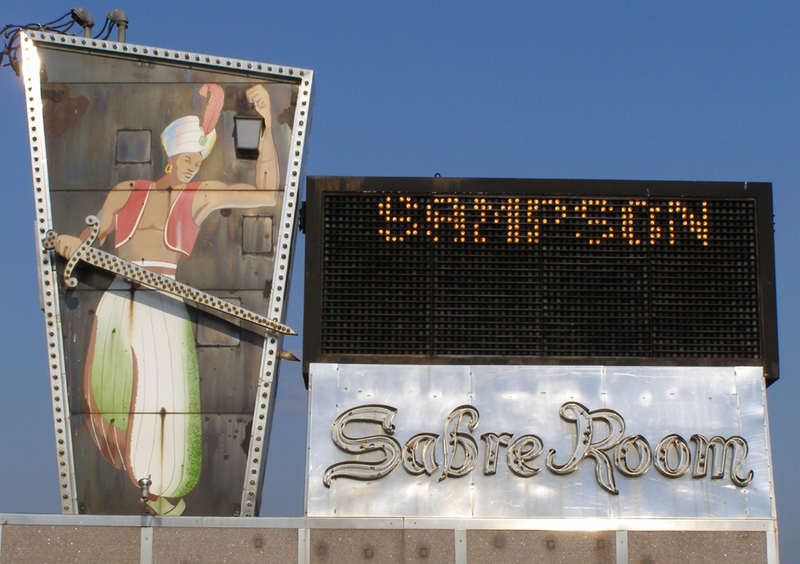 The Sabre Room was established in 1949. It closed in 2016. 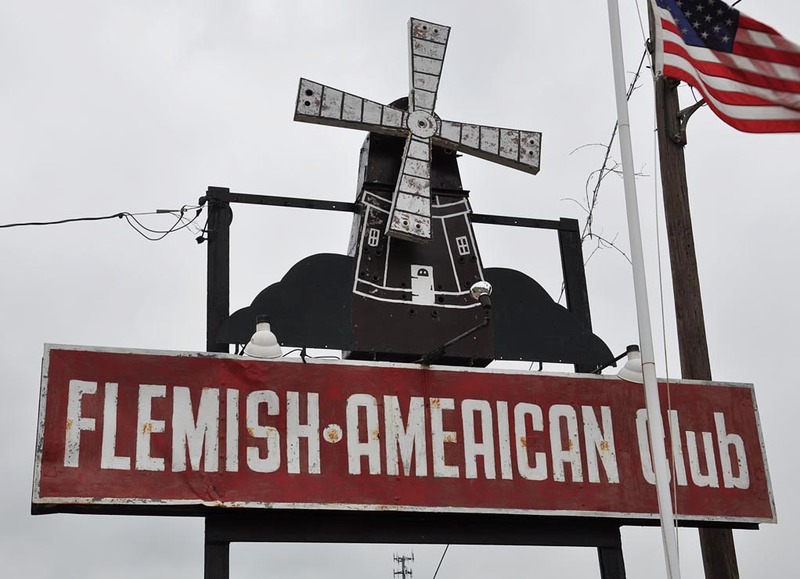 There are plans to sell the sign at auction. It was still there in 2017 but the restaurant had been demolished and the lot was surrounded with demo fencing. 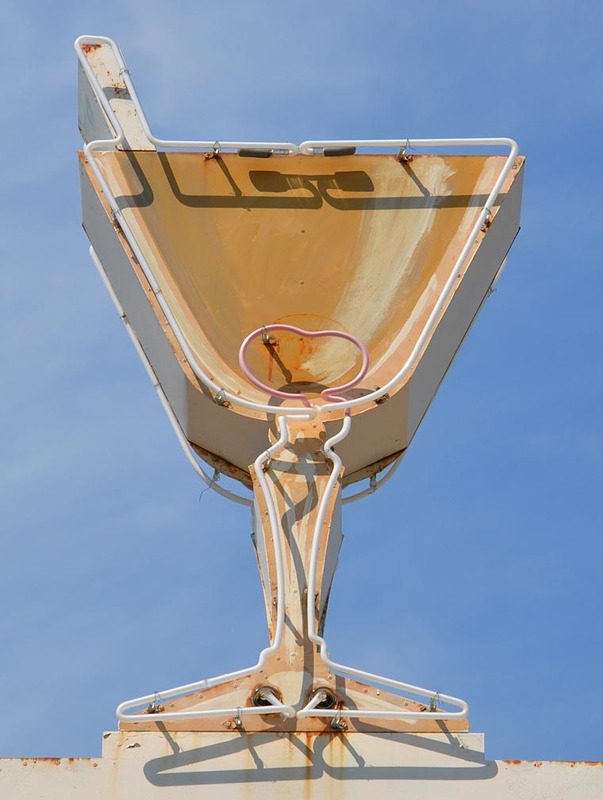 By 2018, the sign was gone. For more, see this website. 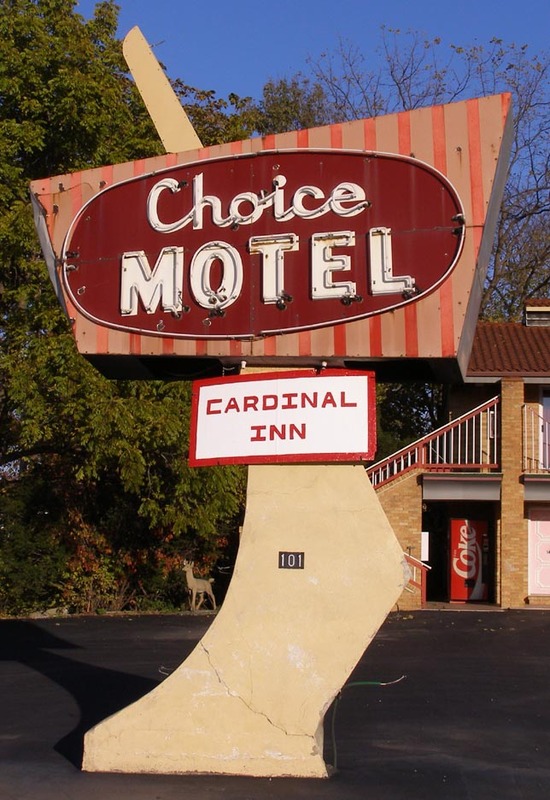 The Choice Motel also went by the name of the "Cardinal Inn". It had been here since at least the 1950s. 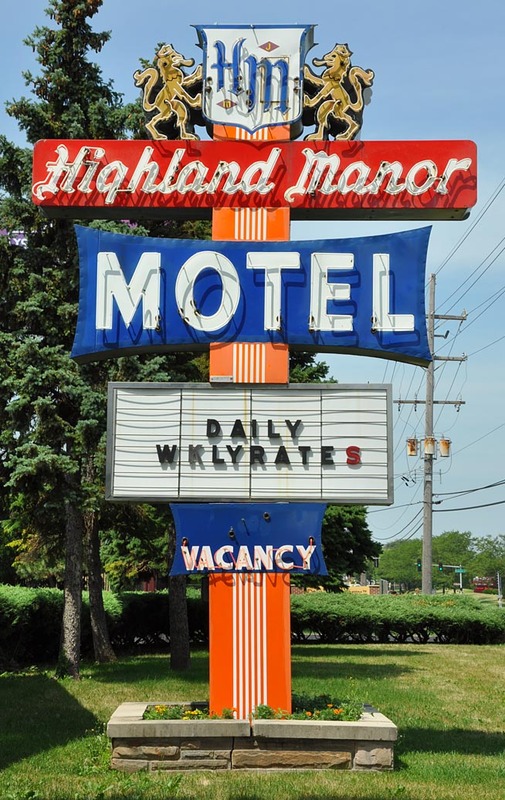 By 2018, the motel was for sale and the sign was gone. 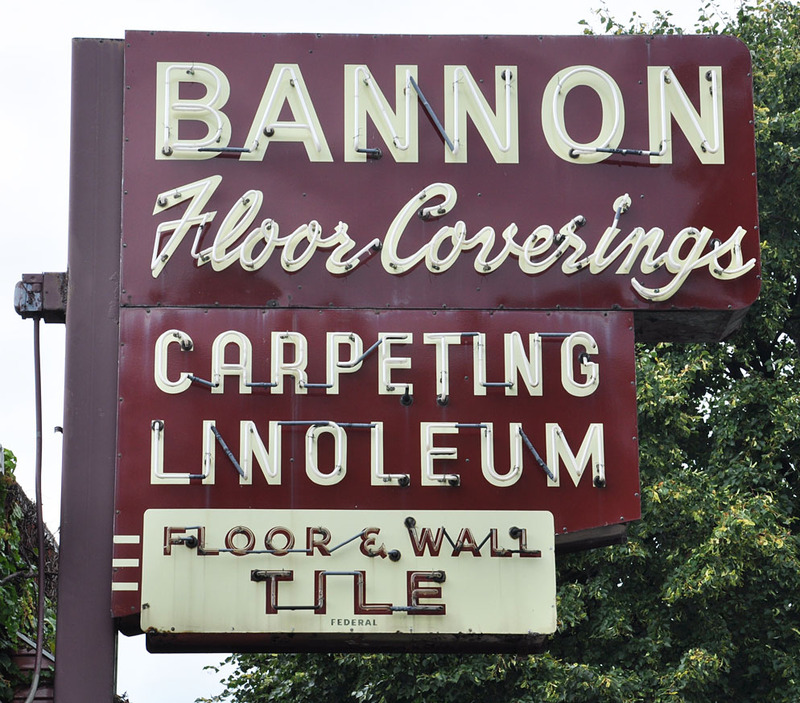 The Bannon Floor Coverings sign appeared to be from the 1950s. This photo is from 2010. 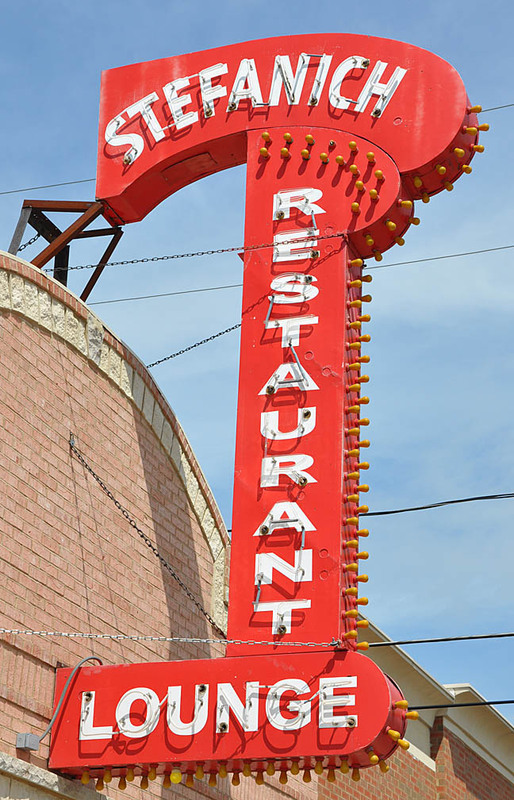 The sign was gone by 2016. 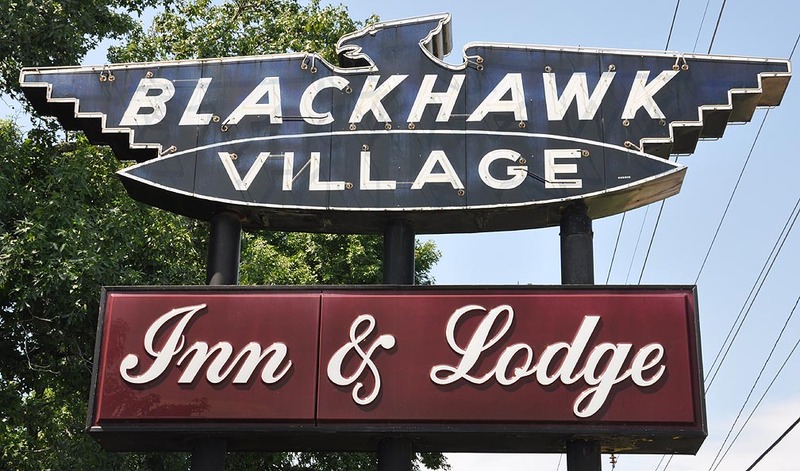 This photo of the Blackhawk Village Inn & Lodge sign is from 2009. Around 2014, the motel became a Knights Inn and the sign was removed. The Stone Motel sign was probably from the 1950s. This photo is from 2010. 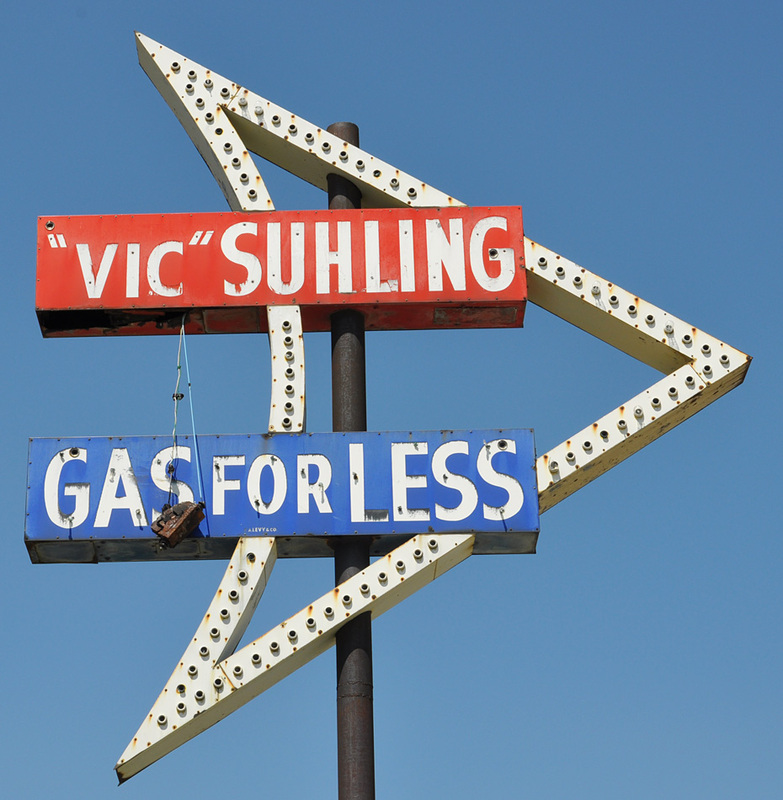 By 2013, the sign was gone. 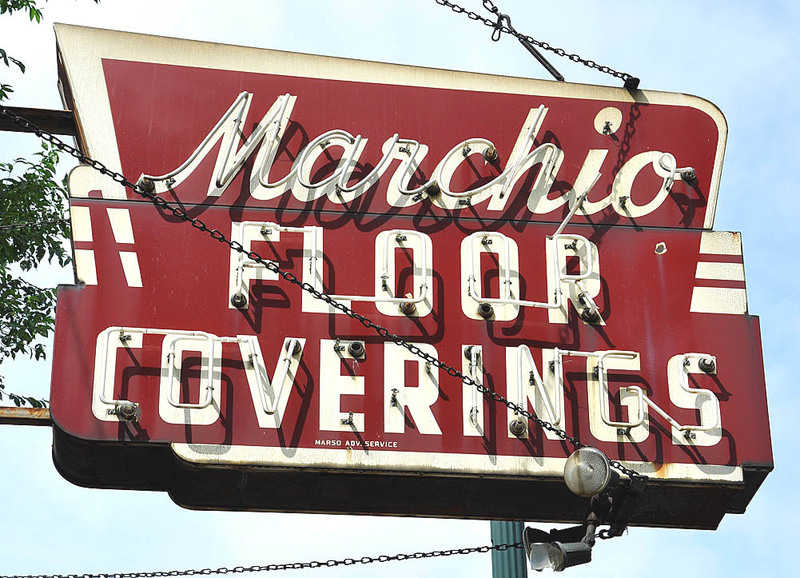 The Marchio Floor Coverings sign appeared to be from the 1950s or earlier. This photo is from 2009. The sign was still there in 2012 but gone by 2013. 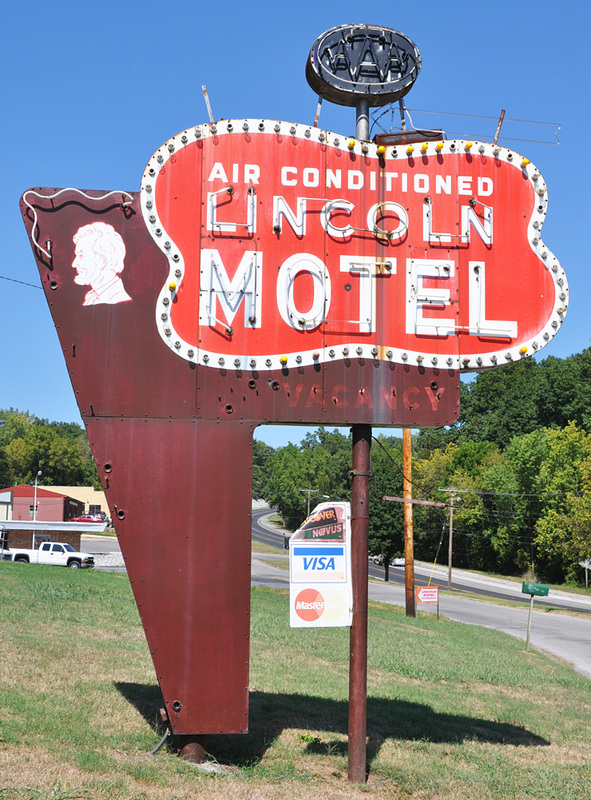 The Lincoln Motel sign was probably from the 1950s. 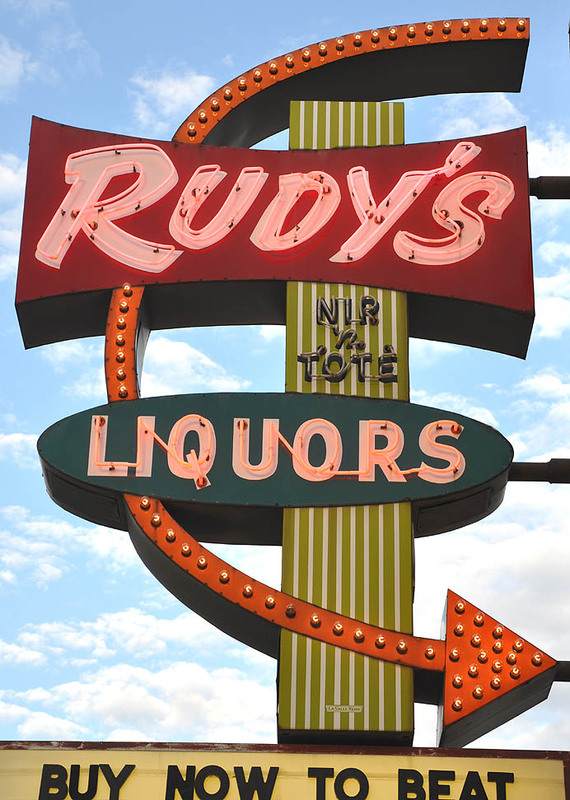 Around 2012, this sign was replacement with a plastic box sign. 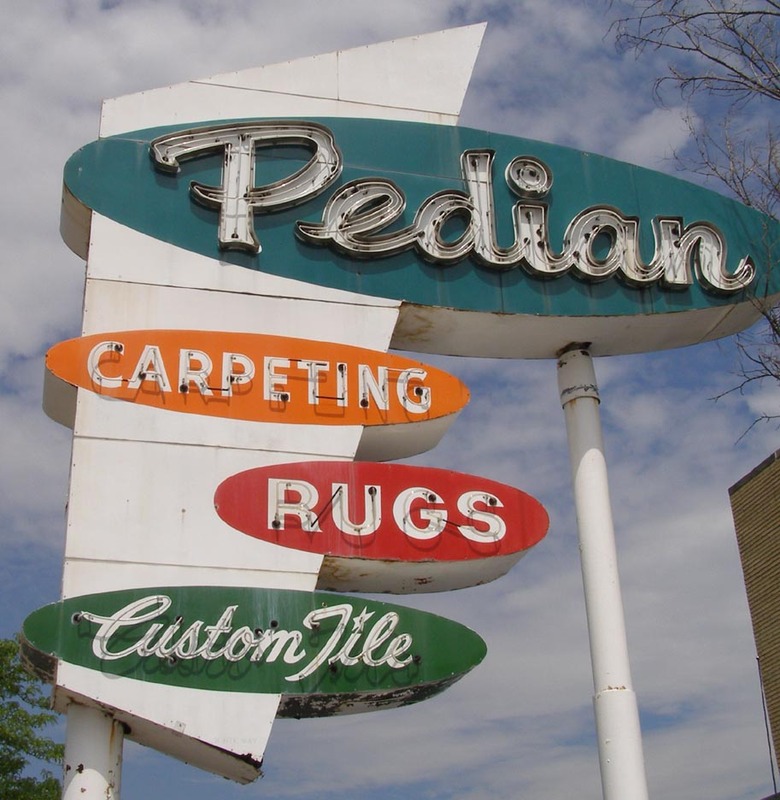 The Pedian Rug Co. was founded in 1906. These photos are from 2006. 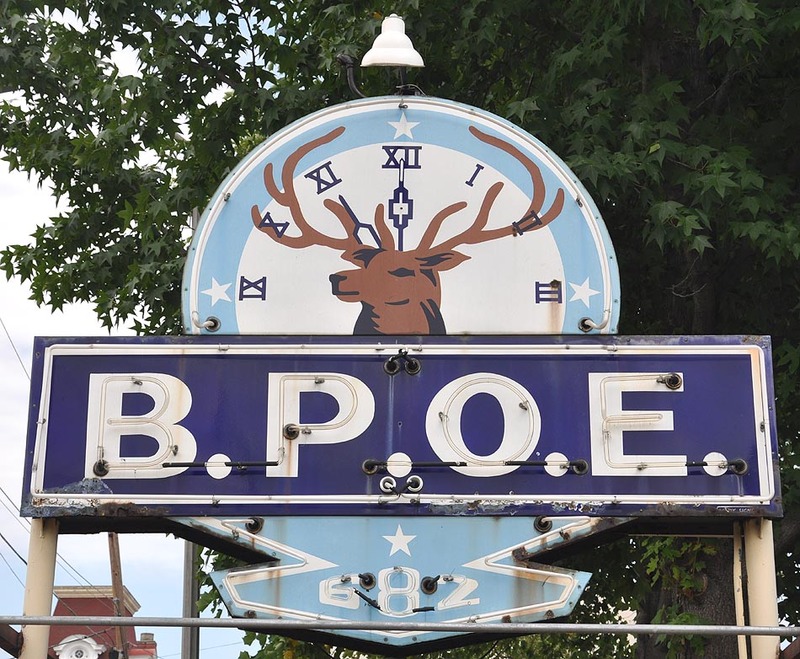 By 2014, the building and sign were gone. For more, see this website. 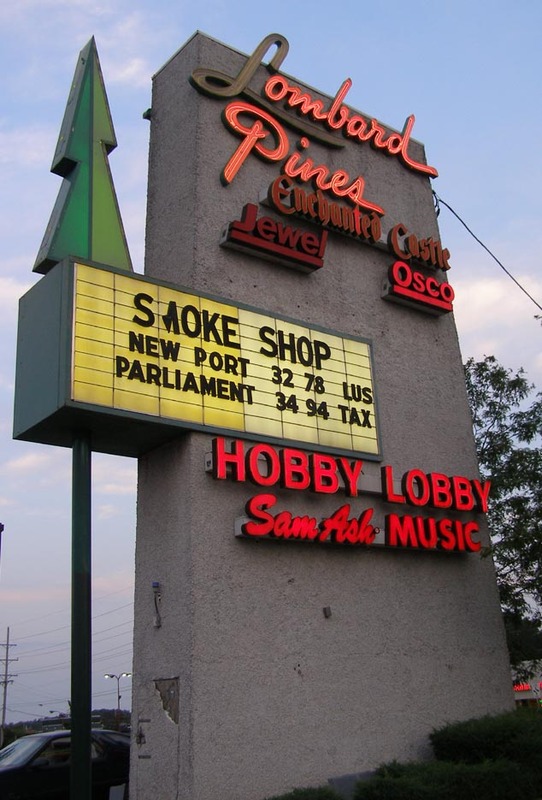 The Lombard Pines Shopping Center sign looked like it was built in the 1960s. This photo is from 2006. I'm pretty sure that this sign was gone by 2009.